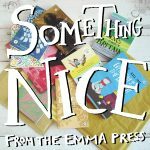 The Emma Press is an independent publisher based in the Jewellery Quarter, Birmingham, specialising in poetry, short fiction and children’s books. It was founded by Emma Wright in Winnersh in 2012 and the team has grown from 1 to 5 part-time staff members since 2017. The Emma Press won the Michael Marks Award for Poetry Pamphlet Publishers in 2016 and Emma Press books have won the Poetry Book Society Pamphlet Choice Award, the Saboteur Award for Best Collaborative Work, and CLiPPA, the CLPE award for children’s poetry books. 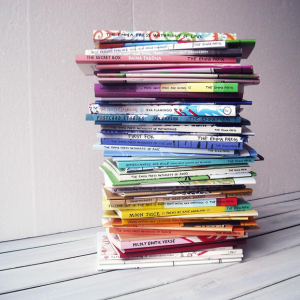 We publish themed poetry anthologies, single-author poetry and fiction pamphlets (chapbooks), and books for children. 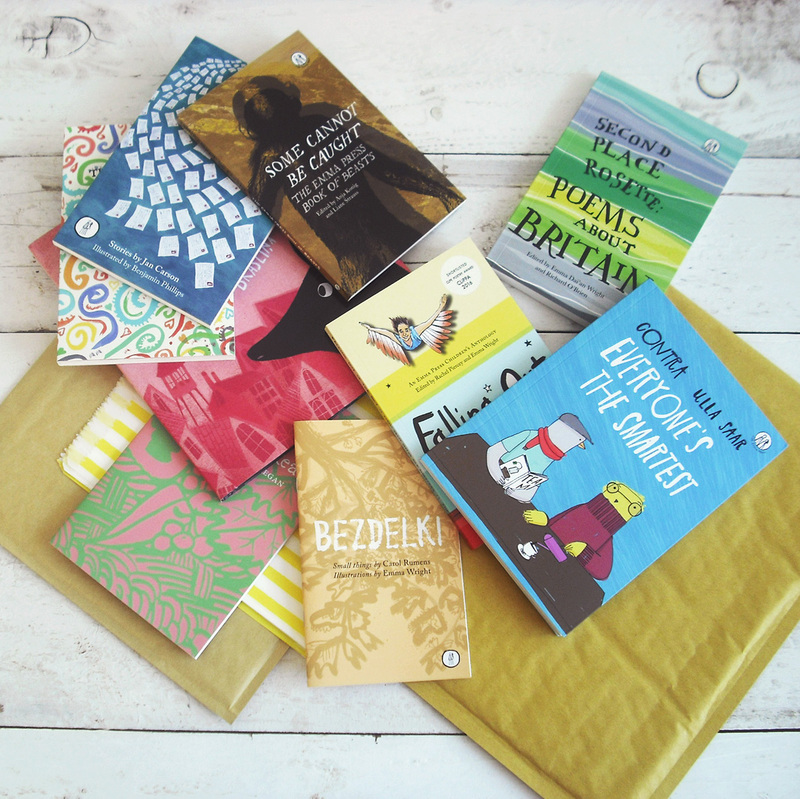 We have a growing list of translations which includes titles from Latvia, Estonia, Indonesia, Spain and the Netherlands. We run regular calls for submissions, and try to do as many events as possible, from book-launch parties to writing workshops to school visits. The Emma Press is a BAME-led, feminist, radical organisation, keen on making poetry, publishing and literature as welcoming and accessible as possible. We are committed to breaking down traditional elitist and exclusionary structures, through providing opportunities for publication for writers and illustrators, through creating books which reflect as many people’s experiences as possible, and through sharing publishing knowledge. What are the main challenges we face? Publishing is a weird old industry. Despite all the exciting, progressive things happening in the book world, the fundamental structures of publishing remain traditional and conservative, which makes it hard for small publishers run by not-rich people to survive. For example, you have to pay the printer either upfront or within 30 days of delivery, but the money from bookshop sales will only arrive in your bank account 6 months after the sales have been made. This makes cashflow very difficult. Also, it’s hard to even get books stocked in bookshops, let alone displayed prominently, because this space will usually go to the bigger publishers. It’s difficult to publicise new books and authors, especially since two of the most effective ways (getting recognised by literary prizes and being featured in national media) are largely ruled out for small publishers – prizes because they cost a lot of money to enter and even more money if you’re successful, and national media because you need the contacts to get noticed and also you need to have the finished books ready far in advance. And then in the poetry publishing world there’s the additional issue that you’re not supposed to talk about money or sales, because so many publishers are supported by the Arts Council that the costs are hidden and people expect services to be basically free. Why do we keep going? We believe that books have the power to change lives. We believe that there are many voices which remain unheard, and readers whose needs are not met by the output of mainstream publishing. We believe that small publishers have a responsibility to lead the way for change in the industry. We also believe that too much of the arts world is dominated by people who can afford to work for little or nothing, which means that representation is an afterthought and we all suffer – true representation will lead to a richer experience for everyone. We are trying to hang on in there, on behalf of all the voices that still need to be heard. But it is hard. If you like what we do and want us to keep doing it, please buy a book from us today, from our webshop or from your local indie bookshop. And tell everyone you know about us, and think of us when you’re next buying presents! 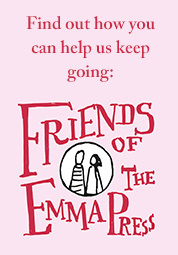 You could also consider becoming a Friend of the Emma Press, taking out an annual subscription to support us in our activities and help us grow. The subscription options are £5, £10 or £15 per month and you can read more here. Or, we also have a subscription “box”, so you’ll receive our next 4 books in the post. Read more here. You can buy our books directly from us on our webshop and at our events. 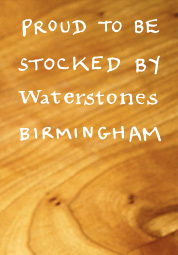 You can also find our books in the wild at various bookshops, as well as our official stockists Waterstones Birmingham and the Prince’s Trust Tomorrow’s Store in London. 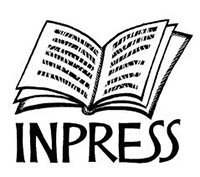 The Emma Press is represented to the trade by Inpress, the innovative sales specialist. Details of all their regional sales representatives can be found here. Our books are distributed by NBNi. For all trade orders, please contact NBNi directly.